Freeflix HQ is an android app which is quite similar to Terrarium TV. In other words, it could be seen as a possible alternative for Kodi. It is a free app which supports Android, Windows, and MAC and provides unlimited full-HD access to TV shows and Movies. In addition, it has been fully optimised for Amazon Fire TV. But an amazing app like this is not available in any app store. You have to download it as an apk file and then sideload it onto your device. Also using Freeflix HQ is considered illegal in some countries and it has been blocked in quite a few. To overcome this hurdle and download an apk version of this file from the Internet you will have to use a Virtual Private Network (VPN). VPNs encrypt your traffic and hide your browsing behavior while online. In addition to the positive benefits of anonymizing your activities, they can also you help you bypass regional restrictions when viewing content. You might have noticed this yourself if you ever tried to access a service like BBC iPlayer while outside of the UK, or perhaps you might have noticed all of the shows you were watching on Netflix changed when you moved from one country to another. This happens when content providers restrict access to specific regions of the world. VPNs bypass this restriction by allowing you to login to a “local” server and then they mask your originating IP address so that it appears as if you are connecting directly. Step 1. Getting ES Explorer On Firestick. Under Developer Options in System Settings of Fire TV select ‘allow installation from unknown sources’. In Fire Stick main menu search for ‘ES Explorer’. Step 2. Installing FREEFLIX via ES Explorer. Goto ‘Download Manager’ in tools and click on ‘New’. Under ‘Path’ write https://freeflixhq.com/apk/ffhq_v2.2.5.apk and click on OK. For ‘Name’ write ’FREEFLIX’. Select ‘download now’. After the downloading is complete click on ‘open file’ and Install it. Sit back and enjoy the entertainment! Step 1. Getting APPS2FIRE On Your Android Device. From Google Play Store install APPS2FIRE. Check out our guide on installing the Play Store on your Firestick if you have not already done this. Step 2. Installing FREEFLIX HQ via APPS2FIRE. Under Developer Options in System Settings of Fire TV select ‘allow installation from unknown sources’ and ‘ADB Debugging’. From ‘About’ in Settings find out your Fire TV’s I.P Address. On your Android device launch the APPS2FIRE app and go to ‘setup’. Put the I.P address and under Local Apps search for FREEFLIX. Select it and install it. Step 1. Getting Downloader On Firestick. In Fire Stick main menu search for ‘Downloader’. Step 2. Installing FREEFLIX HQ via ES Downloader. In the downloader app write https://freeflixhq.com/apk/ffhq_v2.2.5.apk and click on Download. Select ‘download now’. After the downloading is complete click on ‘open file’ to Install the app. 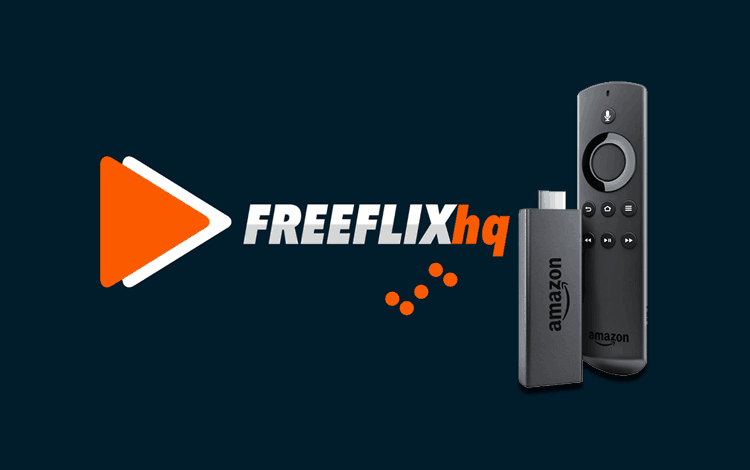 These three methods are to install Freeflix app on your Amazon Firestick TV. All three methods are very easy and once the app has been installed enjoy unlimited access to your favorite TV shows and Movies in Full-Hd. However, it is strongly advised to use a VPN connection whenever using Freeflix HQ app so that you do not encounter any issues.